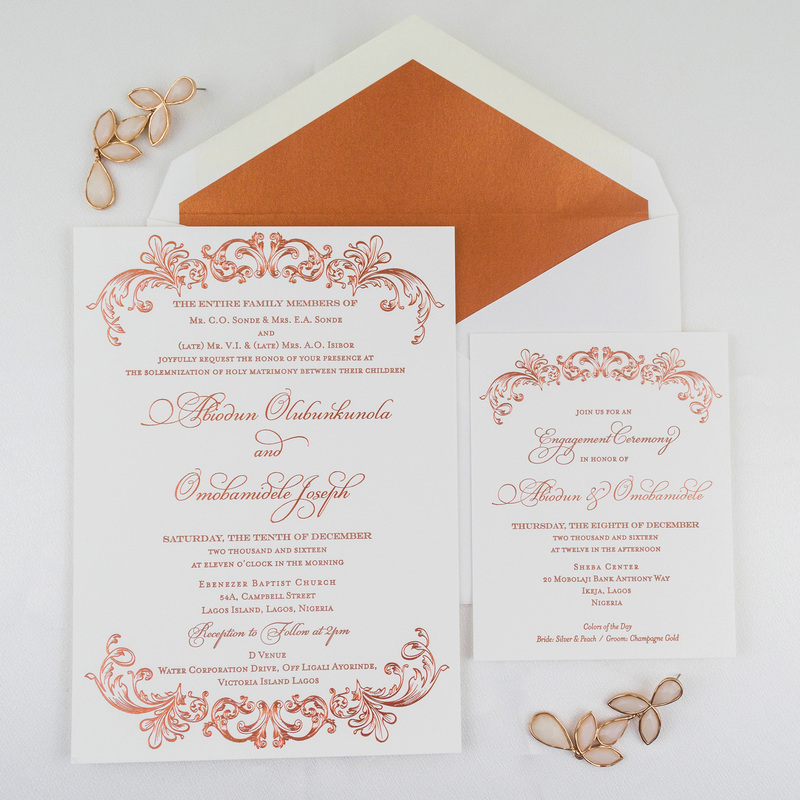 Nothing says royal elegance more than these beautiful opulent wedding invitations! We absolutely love how this bride + groom personalized our LaClaire design from our website collection to fit their classy and elegant soirée!! 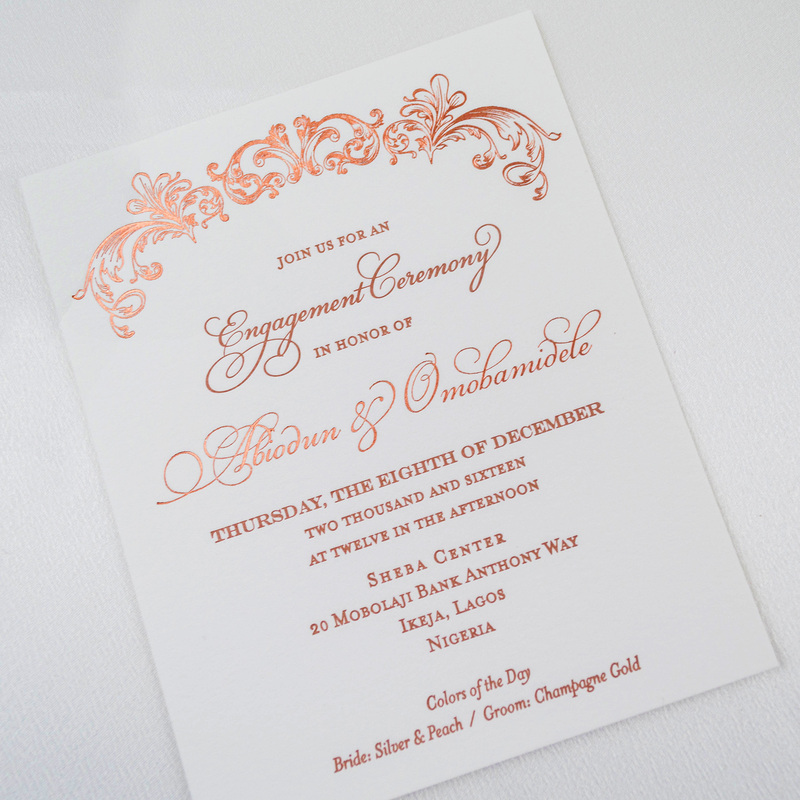 To customize this suite, we chose an ornate font for their names, and we printed the suite in a larger and thicker cotton paper stock. 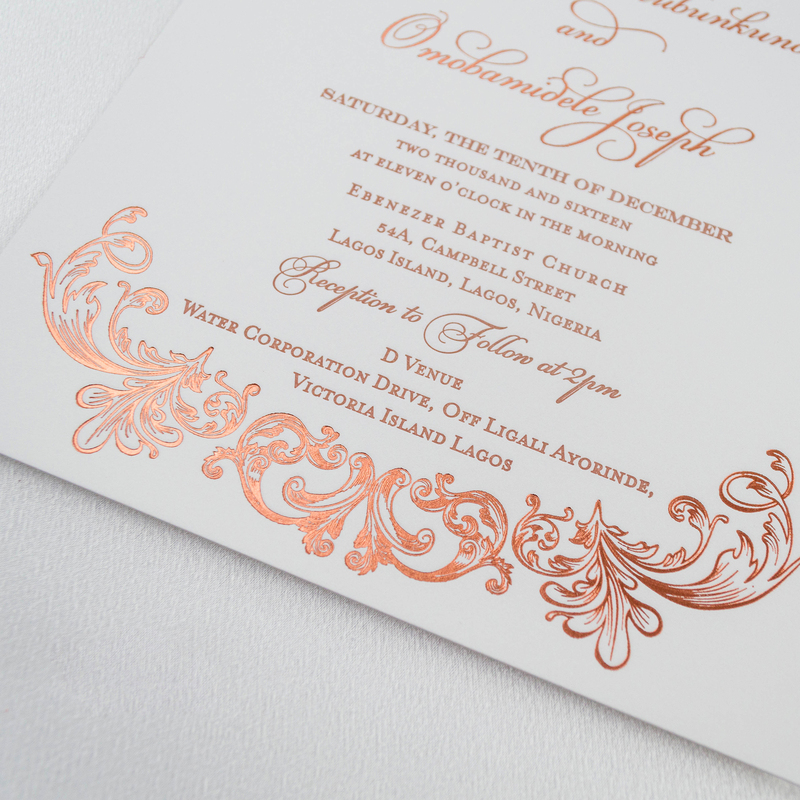 To accentuate the luxurious appeal, we foil stamped the invitations in copper and embellished each envelope with a pearlescent copper paper. 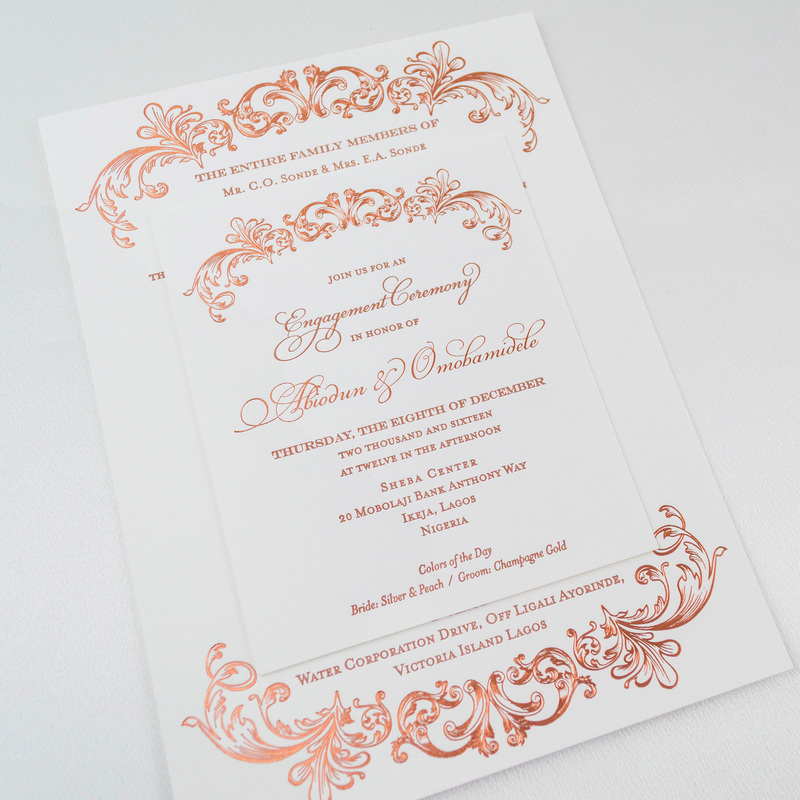 These invites are stunning!! 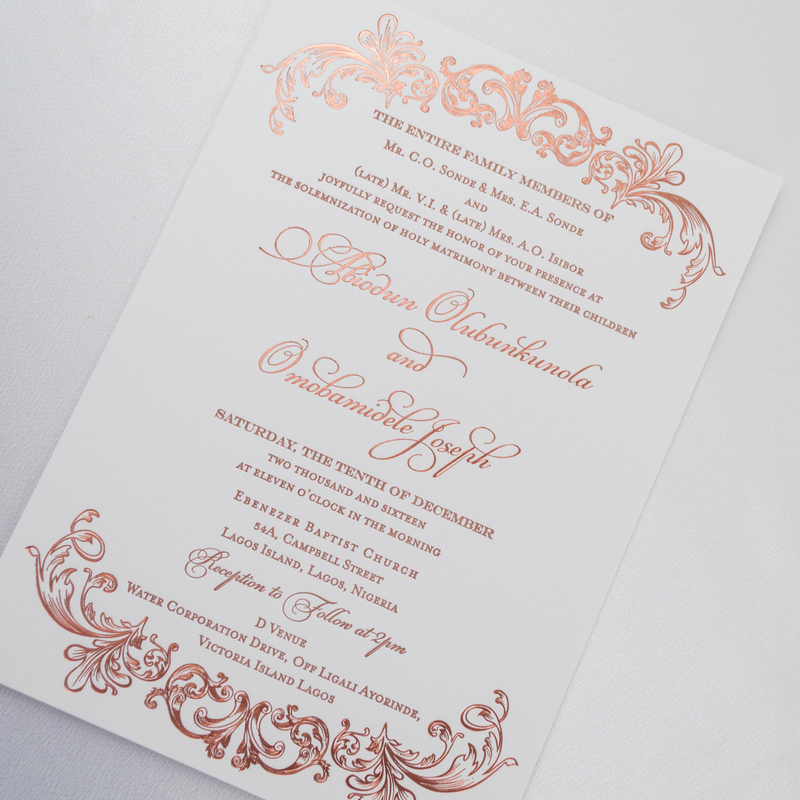 By just adding a few simple touches, this design was instantly transformed to fit this couple’s lavish affair!